It takes a lot of courage to do something nobody has ever done before. There’s a reason why we describe it as “ground-breaking”. Once the ground is broken, it becomes easier for those who follow after you. Sophia Jex-Blake wasn’t the best doctor ever, nor was she the best teacher of medicine by any means. But she broke the ground. She plowed the hard furrow, to make the path for the women who followed after her into medicine easier. Both they and the lives they would save owe her a great deal for that. Sophia Jex-Blake was born in 1840 in the town of Hastings in England. She was the third child of retired barrister Thomas Jex-Blake and his wife Mary, who already had an eight year old son and a six year old daughter. Sophy was a smart child, which was dangerous for a girl at the time. Society valued compliance in women more than intelligence. In the restrictive schooling of the time her pushing at the boundaries was seen as “being difficult”, and though she did well at school she was a trial to her teachers. Her biographer Margaret Todd was of the opinion that if girl’s schools at the time had offered sports and exercise this would have calmed Sophy, but this wasn’t considered “ladylike” and so was not part of the curriculum. Sophy went through several schools, and was generally considered by her teachers both brilliant and unmanageable. I believe I love women too much to ever love a man. Yet who can tell? Well, S. J.-B., don’t get sentimental, for patience’ sake. Octavia Hill, a great social reformer in her own right who would go on to co-found the National Trust. 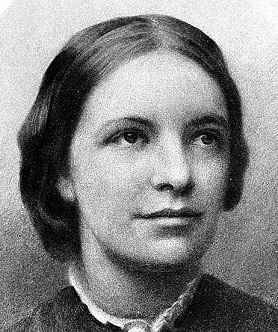 Her first love was Octavia Hill, a fellow student at Queen’s College who was a year older than Sophy. They met when Octavia tutored Sophy in business studies, and began a friendship that soon (reading between the lines of Sophy and Octavia’s letters) developed into something more. An entry in Sophy’s diary where she recounts her heart “beating like a hammer” as she asked Octavia to join her on a holiday in Wales leaves little doubt of her feelings on the matter, at least. Sadly, however, Sophy’s fiery temperament proved incompatible with Octavia’s need for peace and so Octavia severed the relationship in 1861. It broke Sophy’s heart, a wound that would take twenty years to heal. She finished her term out at Queen’s College, and then returned home where she fell into a deep depression. She found her comfort in religion, as like her parents she had always been devout. Eventually Sophy decided to move to Edinburgh, which had a reputation for social enlightenment, to continue her education as best she could. She had moved in early feminist circles in London, becoming friends with the likes of Emily Davies and Barbara Bodichon. Another friend she had made there, Elizabeth Garrett, had also moved to Edinburgh. 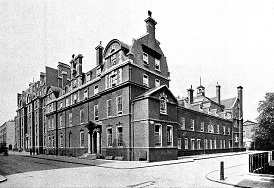 Elizabeth had studied medicine at Middlesex hospital and had received a degree in chemistry, though the male students had revolted against her presence and forced the administration not to allow her to become a doctor. She was determined to become Britain’s first female doctor, and Sophy helped her study and prepare her applications to various medical schools. Eventually the pair found a loophole in the charter of the Worshipful Society of Apothecaries where they did not exclude women from joining or qualifying through their exams. 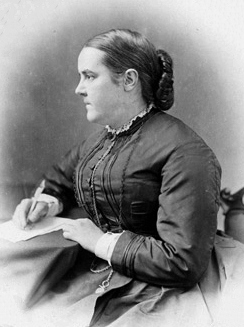 Elizabeth thus became the first fully qualified female doctor in British history in 1865, though the WSA quickly plugged that loophole in order to prevent any more of the dreaded female gender using them as a stepping stone to qualification. Sophia in her early twenties. At the time medicine was not Sophy’s planned avenue. Instead she wanted to become an educator, and to offer a generation of women the opportunities she herself was having to fight so hard for. In order to outfit herself for this in 1862 she moved to Mannheim in Germany where she tooka job as a teacher, over the vociferous protests of her father. Her mother was always deeply sympathetic to Sophy’s goals though, and one wonders if she had once harboured dreams of her own that had been crushed by the deeply patriarchal society of the early 19th century. Sophy found her first experience of teaching a trying one, as the German girls delighted in teasing her. However she persisted, and managed to both improve the girls’ performance as well as become more popular in the school. She spent a year in Germany, though her return home was delayed by an attack of scarlet fever. This forced her to convalesce at home for a while before she could resume her activities. After a few more short visits to the continent Sophy decided that the best place to take her knowledge of women’s education to the next level was America. Once again it was over the protests of her father, but in October of 1864 Sophia Jex-Blake set sail for Boston. 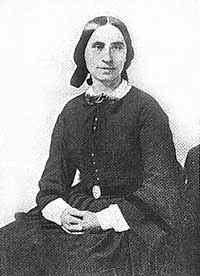 She had a letter of introduction to Doctor Lucy Sewall, the resident physician at the New England Hospital for Women and Children. 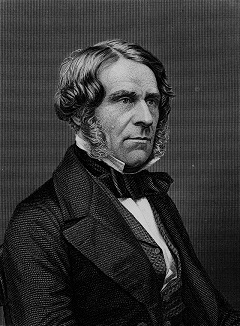 The two became good friends, and Lucy got Thomas Hill, the president of Harvard, to draw up an itinerary of colleges around America for Sophy to visit. It was a deliberately eclectic list, and included Oberlin College in Ohio. Oberlin was probably one of the most progressive colleges in America, and not only was far ahead of the pack in educating women but was also one of the only colleges that had admitted black students even before the Civil War. Sophy wrote in her diary of how affected she was to be present at the graduation of a former female slave, something which would have been unthinkable only a decade earlier. Sophie in 1865, during her time in Boston. After her tour Sophy settled back into Boston. Her health was still precarious from the scarlet fever and so Lucy Sewall took her under her wing. Sophy repaid her kindness by doing the accounts for the hospital, something she had always had an aptitude for. Gradually she got more drawn into the medical life, taking over the dispensary duties when the staff were needed elsewhere. She wrote to her mother that “were I not a teacher, I would be a doctor”. She also acted as hospital chaplain for a while, another vocation that called to her (as she had always been religious). Eventually though she decided that she lacked the certainty in her belief to become a minister. Medicine, however continued to fascinate. While on a visit home in the summer of 1866, at a friend’s suggestion Sophy wrote to Macmillan to pitch a book on her tour of the American colleges. The pitch was accepted, and in November Sophy sent them from Boston the manuscript of A Visit to Some American Schools and Colleges. The book was well received, and it also seems to have discharged the responsibility Sophy felt to “education” to some extent. With that done, she formally enrolled as a medical student in the Women’s Hospital. This led to her performing dissections among other things, and also led her to consider universities to get a medical degree at. Never one to settle for second best, Sophy applied to the Ivy League university of Harvard. She received a response that while the university was not in principle opposed to female education, they had no provision at the moment to do so. Sophy took this as the coded encouragement it was, and began to lobby for admittance. Several of the professors were willing to lecture women, and some even became Sophy’s allies, but she was unable to persuade the university to change its stance. 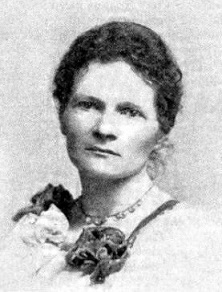 She then moved to New York, where Elizabeth Blackwell (the first woman to receive a medical degree in America) was establishing a medical school for women. Sophy was one of her first pupils, but only a few months after she had started she received word that her father was dying. She rushed home but arrived too late. He had died before she had even received the letter telling her he was ill.
Sophia’s brother Thomas, a prominent educator who served as Headmaster of Rugby and Dean of Wells Cathedral. Sophy had built a life for herself in America, and was well aware that she would not have the opportunities in Britain that she had there. But she was deeply affected by missing her father’s death, and admitted that she had no wish to be separated by an ocean from her dear mother any longer. So she canceled her enrollment in the school in New York and permanently moved back to Britain. She was by no means ready to give up her medical studies, though. She sounded out various universities, and for a time had great hopes for Cambridge which had begun considering admitting female students. However medicine was not something Cambridge was yet prepared to allow women to study, so Sophy had to look farther afield. In what may not have been so much of a coincidence, Sophy eventually found a university willing to try offering women medical studies in the same city where her friend Elizabeth Garrett had gained her degree – Edinburgh. 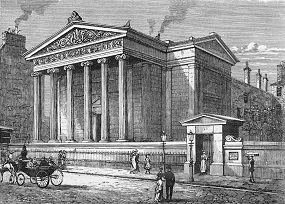 In March of 1869 the Medical Faculty at St Andrews in Edinburgh voted to allow Sophy to study medicine. The University Court objected on the grounds that they could not justify the effort required simply to allow one woman to study, so Sophy advertised in the local papers for women willing to join her. Four women replied and joined her, and that summer all five sat the matriculation exam to enter St Andrews. There were 152 people who sat the exam, and four out of the top seven places went to the women students. All five passed the exam, and so that November they became the first ever women admitted as full students to a British university. Two more joined before the end of the year, and the women became known as the Edinburgh Seven. The first real sign of the trouble to come came in March of 1870. The rule was that the women took identical classes and exams to the male students, though they had separate classes (and were charged a higher tuition under the justification that “their classes were smaller”). In March they sat their first exams, in Physiology and Chemistry. One of the women, Edith Pechey, took the highest score in both exams which entitled her to a scholarship. By this point resentment among the male students and the more misogynistic members of the faculty was growing. Sir Robert Christison, the most outspoke of the dinosaurs, was of the belief that women lacked the intelligence and mental stamina of men. Thus in an absurd contradiction it was decided that Edith should not get the scholarship she had earned by her work because of her inferior gender. So it was decided that since the women sat their exams separately they were not eligible for these scholarships, and the money from the ironically named Hope Scholarship went to a man who had lower marks in the exams than Edith. This incident seemed to mark a tipping point, as after this the hostility towards the women became much more open. This may have been a direct reaction to the attitude of the press, who were almost all openly on the women’s side in the dispute. In April the University Court held a session to decide if they should switch to mixed classes and exams (thus reducing the amount the women had to pay and making them actually eligible for scholarships). Two of the professors took advantage of this to vent their misogynistic opinions. 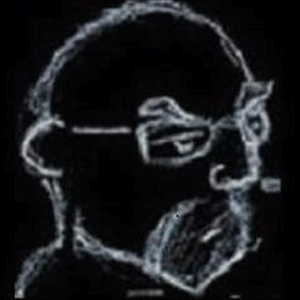 Professor Laycock said that women seeking medical degrees “might be Magdelenes”, by which he was implying they might be seeking to somehow use these degrees for sexual fulfillment. However the most influential of the dinosaurs was Sir Robert Christison, a former president of the Royal College of Physicians of Edinburgh. He insisted that women lacked the intelligence and mental stamina to be doctors (ignoring the fact that the women were thrashing the male doctors in the examinations) and declared that they should be content with being nurses or midwives, and leave the doctoring to rational men like him. Sir Robert Christison, the king of the dinosaurs. Sir Robert was regrettably a man of influence, and he was able to sway many in the faculty to his side. With their encouragement a portion of the male students soon began a program of direct harassment of the female students. At its mildest this took the form of laughing loudly at them whenever they approached and blowing smoke in their faces. At its worst this took the form of following them in the street, vandalising their property (Sophy had her doorknob torn off five times) and verbal abuse (among other attacks, Edith had “Whore!” yelled at her in the street). The pattern is one drearily familiar to any modern student of the effect when women enter a male-dominated space. First the women were greeted with contempt, but as soon as they proved themselves equally (if not more) capable then the contempt escalated into direct hostility. Of course, the seven women also received obscene and threatening anonymous letters; showing that the playbook of the threatened male has not changed that much in the last hundred and fifty years. The culmination of the campaign against the women came on the 18th of November 1870. By now they had begun traveling as a group for safety in order to deter violence against them, so it was as a group they turned up for their exam in anatomy at 4pm. However as they approached Surgeon’s Hall they found that a crowd of several hundred people had turned up to try to block them from entering. As they made their way through the crowd they had rubbish and mud thrown at them, along with every insult that the bigots could think of. Worse, when they managed to get through to the hall a male student locked the door in their face. They were forced to stand their and endure the abuse until a sympathetic male student unlocked the door. Following the exam he and several other male students then formed a bodyguard to protect the women as they went home. The events of the day became known as the Surgeon’s Hall Riot. Of the mob of several hundred, a grand total of three suffered legal consequences. They were fined £1 each. In the fallout from the riot Sophy was somewhat indiscreet in blaming the professors who had whipped up the students, and one of them sued her for libel. Technically she lost the case, as she was found to have committed libel. However the professor was only granted damages of one farthing – a gesture which indicated that in the eyes of the jury that Sophy had spoken the truth, she just hadn’t been able to prove it. The judges, naturally, proved far more conservative and made her responsible for her accuser’s costs. But like the jury, the court of public opinion was also firmly on her side and the £915 of costs was paid by sympathizers from all over the country. It was clear that the deliberate tilting of the scales by the “powers that be” was having the exact opposite effect from what they would have hoped, and was driving the public more and more behind the Edinburgh Seven. By 1871 the original seven were poised to take their first professional examinations, while more women were taking the entrance exams. Motions were put in the University Court to block this, and they were barely defeated. Meanwhile, the original seven dwindled down to four as three of them got married. The idea of a married woman studying at university was of course utterly unthinkable to the moral guardians of the time. Things dragged on, with every inch of ground being fought for, and every possible obstacle being thrown in the women’s way. The most notable was a lawsuit being taken by the university against itself, confusingly, to claim that the admission of women to the University had been an illegal action. It was almost inevitable what finally happened. In November of 1872 Sophy sat her exams, with the matter of whether she would be permitted to take a degree still in the air. But stress and distraction had taken their toll, and she failed her Natural History exam. She managed to pass it on a resit, but it was ammunition for those who had stood against the women students. It was becoming clearer and clearer that they would never win the approval of the medical board in Edinburgh, at least not until the “dead wood” had been cleared out. It may have come as somewhat of a relief when the lawsuit, which had gone eventually to the highest court in Scotland, was lost by the women in a five-seven split between the Scottish law lords. 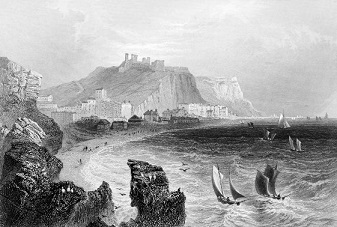 Costs were awarded to the university, and the female students of St Andrews University were summarily evicted from their studies. The London School of Medicine for Women. 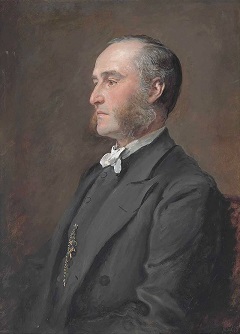 It having now been established that it was “illegal” for universities to teach women, Sir David Wedderburn introduced a law in Parliament to explicitly grant universities that power. He was the MP for South Ayrshire and had long been a supporter of “the lady doctors”. As a result of this Sophy found herself in meetings with a sympathetic Home Secretary. But he was swept out when Parliament was dissolved and the Conservatives won a majority, with the unsurprising result that the bill was defeated in 1875. In the meantime Sophy and the two remaining of the Seven had helped found and then enrolled in the London School of Medicine for Women, and they tried to get their medical degrees through a loophole in the regulations for the Royal College of Surgeons that a License in Midwivery granted the full title of MD. This was frustrated when, on hearing that the women’s examinations had to be accepted, the entire board of examiners resigned rather than grant them their degrees. Eventually Wedderburn’s bill passed in 1876. Sophia had actually lost patience with the process by this time and had arranged take her exams at the University of Berne in Switzerland. She actually received her MD from them in January of 1877, though getting it recognised in Britain would have been a struggle. Besides, now that all universities now had the power to teach and grant medical degrees to women it would be possible for her simply to take the exams in the United Kingdom. Finding a university willing to do so was difficult, but the most enlightened minds were found across the water in Ireland. Originally the plan was for the women to take their classes in Galway, but some hidebound locals scuppered that. So instead they went to Dublin. It was the Royal College of Physicians of Ireland that had the honour of being the first institution in the British Isles to declare proudly that these women were, finally, officially, doctors. After seven years of struggle, the battle had finally been won. Given her early interest in education and her recent involvement in the struggle to allow women to study medicine, it’s not that surprising that Sophy decided to set up her own school of medicine. It might be more surprising where she decided to set it up: back in Edinburgh. There were good reasons though. Despite her issues there she did like the city and had made many friends there. More than that, though, she was well aware of the many women in Scotland who wished to study medicine but had no real place to do so. London had the School of Medicine for Women, but the north of Britain was not so lucky. She didn’t dive straight into the scheme though, not by any means, and it may have taken some time for her to decide on it. 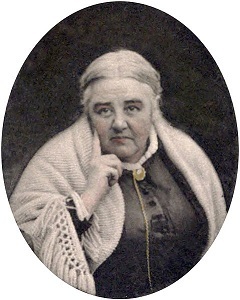 Sophie aged 40 in 1880. In 1878 she moved back to the Edinburgh and set up a dispensary, catering primarily to lower class women. Despite the official disapproval she proved very popular, and soon established a reputation as a good doctor. Her plans were derailed in 1881 for a time when her beloved mother, who had always been a steadfast supported, passed away. For a time Sophy collapsed into depression, but when she recovered she set to work in Edinburgh with redoubled intensity. In 1885 the dispensary expanded and moved to new premises. As part of this it added a five bedroom ward, thus becoming the first hospital in Scotland to be fully staffed by women. 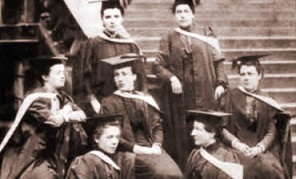 The following year Sophy opened the Edinburgh School of Medicine for Women. At first the new school seemed a great success. Sophy arranged for the women to gain surgical experience at Leith Hospital, where some of her old allies resided. However her prickly disposition soon proved to be a liability. When she expelled a pair of sisters for a fairly minor disciplinary offense, they sued her and won. As a result of this the 23-year old Elsie Inglis (who would go on to become famous for her work in medicine during World War I) also left the school, and established her own rival college. The matter put a great deal of stress on Sophy, and a deteriorating relationship with the Leith Hospital didn’t help. But it was the decision of St Andrews in 1892 to bow to the inevitable and begin admitting female students properly that spelled an end to Sophy’s school. Though she continued to run it for five more years (now mostly as a science school) it was inevitably shuttered in 1898. Whenever they began their relationship, Sophy was in a firm relationship with Margaret (who was 19 years younger than her) by 1899. This is demonstrated by the fact that when Sophy chose to retire that year and move to Rotherfield in East Sussex, Margaret quit her job and moved there with her. This was probably helped by the fact that by now Margaret was a well-known writer. She still used her male pseudonym, though her real identity was well known and was referred to by reviewers of her work. Margaret wrote another pair of books during the time the two women lived together in Rotherfield, and by 1906 culture had shifted far enough that she could put her own name on their covers. Sophy in her old age. Sophy had suffered a heart attack back in the 1890s, which was part of what had prompted her retirement, and in 1902 she had an operation to remove a tumour. As a result she was released from guilt to take the rest of her days in quiet retreat. It was an idyllic life; the pair had their own dairy and made their own cheese, which they served to the many guests who came calling. Former students and old friends visited often, and even the local Catholic priest became a great friend; something which would doubtless have shocked her father (or indeed, herself in her youth). Her health prevented her from campaigning for the right of women to the vote, but she wrote many letters to the newspapers in support of it. Her name still opened doors, and the editor of the Spectator was one of those who published a letter in support of women’s suffrage that he would have refused if it had not come from Sophia Jex-Blake. Sadly though Sophy would not live to see this last fight won. She died in 1912, two weeks before her 72nd birthday, and was buried in Rotherfield where she had found peace at last. 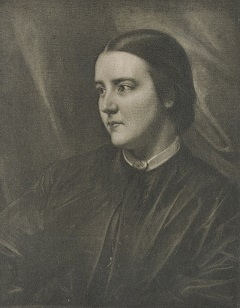 In her biography Margaret Todd refers to the relationship as a “romantic friendship”, a tidy euphemism used at the time to avoid acknowledging the reality of these situations. A writer in the Times wondered why he wasn’t concerned about the much more real problem of predatory men using their position as doctors to molest female patients. At one point Margaret refers to “the intimate friend of those days”, but that’s as close as she gets to acknowledging her own existence.